Commemoration of the Paris Peace Agreements of 1991, also known as Paris Peace Agreements Day, is a Cambodian public holiday observed on October 23. It celebrates the official end of the Cambodian-Vietnamese War. The war between Democratic Kampuchea and the Socialist Republic of Vietnam officially began in 1997, although the first isolated clashes along the border occurred in 1975. In January 1979, Vietnamese troops overran the Kampuchean Revolutionary Army, and a pro-Vietnamese People's Republic of Kampuchea was established. When Kampuchea was occupied, the war did not end: the border conflict transformed into a civil war that lasted for about a decade. The Kampuchean people resisted against the new regime. Some of them supported the old Khmer Rouge regime, while others wanted democratic changes. The war officially ended on October 23, 1991, when nineteen governments signed the Agreements on a Comprehensive Political Settlement of the Cambodia Conflict, also known as the Paris Peace Accords. As a result, the first post-Cold War UN peacekeeping mission was deployed. 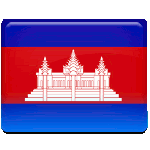 October 23 was designated as a public holiday by the government of Cambodia in 2012. On this day, all government offices and educational establishments in the country are closed.